Summer is a time for fun in the sun and some much needed R & R after working hard the whole school year. It can also be a time that students forget key concepts or regress in subjects they find challenging. 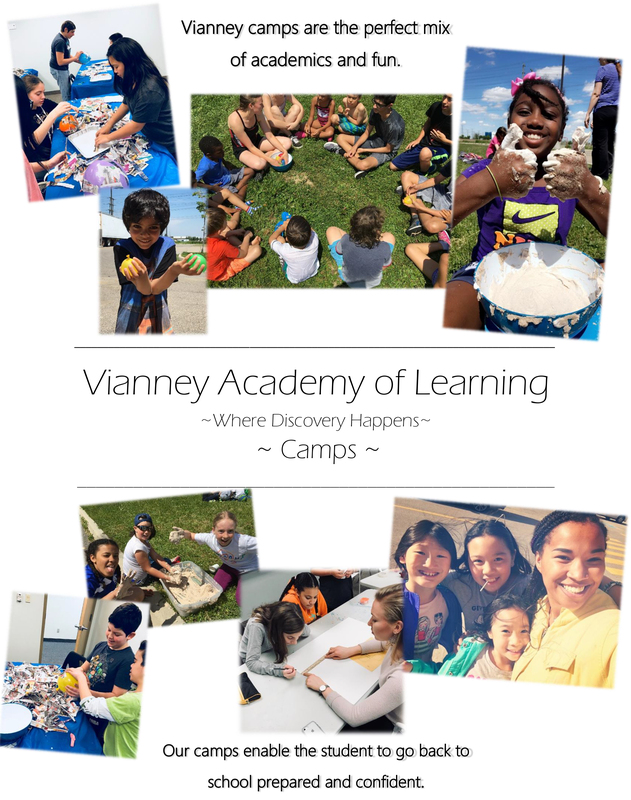 Vianney Summer Camps are the perfect mix of fun mixed into academics. Students still get to enjoy the fun of summer with fun activities and off campus trips, while spending time every day staying refreshed on core subjects or subjects they find challenging. This equips them to start the upcoming school year as strong as when they left in June. Please contact our office to receive camp enrollment forms.